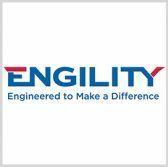 Engility has unveiled a technology platform designed to help intelligence and defense agencies examine huge amounts of data and turn information into actionable insights. MetaSift is based on an open architecture and works to help analysts automate data management processes as well as identify content linkages, Engility said Monday. The data analytics platform debuted at the GEOINT Symposium in Tampa, Florida. “Every day human analysts in the intelligence community and Department of Defense sift through enough data to fill the Library of Congress,” said Engility CEO Lynn Dugle. Dugle, a 2018 Wash100 recipient, added the company developed MetaSift to help customer agencies analyze, process and manage large data sets. The platform is built to support applied artificial intelligence and machine learning integration, content creation and collaboration, digital information and knowledge management, intelligence reporting and multimedia analysis functions.